Today saw the start of MWC 2015 following the launch of the Samsung Galaxy S6, S6 Edge and HTC One M9 last night. But, even though the big names are already out of the way, we’ve had plenty of new smartphones and tablets to get excited about. So let’s take a quick look at our favourites from day one of MWC 2015. Check out our roundup video, or read more below. Sony got MWC off to a flying start this morning when it unveiled its new Xperia Z4 Tablet. The party piece of the new tablet is its 10.1-inch screen. With a huge 2560 x 1600 pixel resolution, more than four times sharper than HD, it shows everything in stunning detail. It’s also super slim and light at just 6.1mm thick. Microsoft joined Sony in bucking the trend for launching flagship phones at MWC. 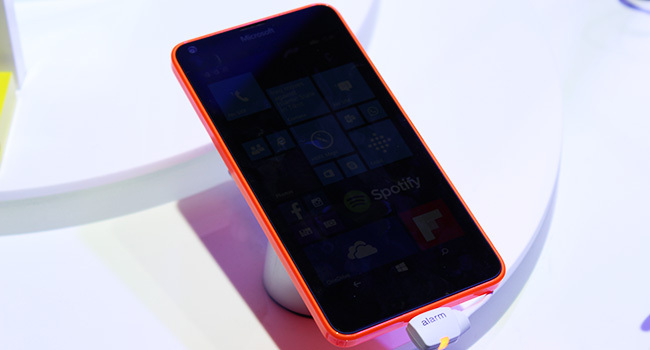 Instead, it showed us the new Microsoft Lumia 640 and Lumia 640 XL. The 640 has a 5-inch HD screen, making it a competitor to the new Sony Xperia M4, but it’s camera only comes in at 8MP. The 640XL, meanwhile, has a massive 5.7-inch screen, making it a budget phablet, and a decent 13MP camera. When the new phones are launched, they should cost between £100-£180. 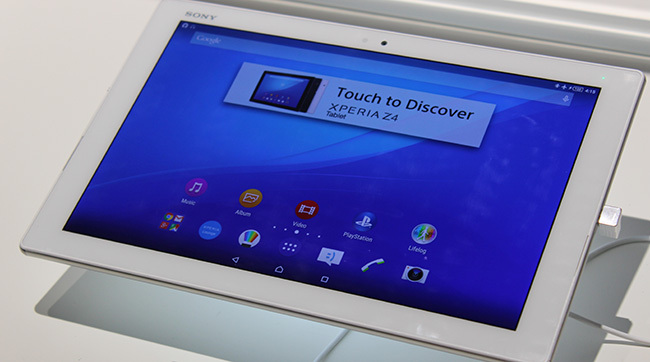 Sony didn’t settle with just unveiling a top new tablet. 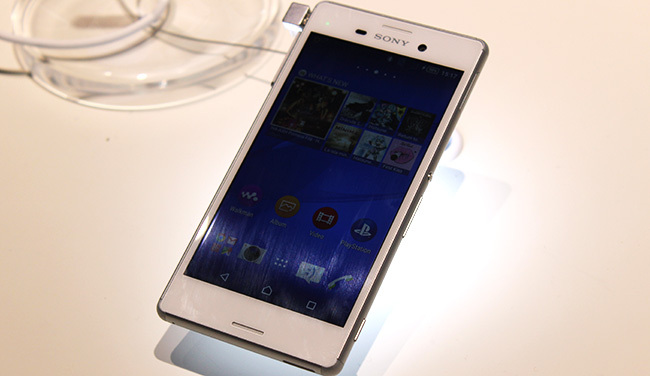 It also launched the Xperia M4 Aqua smartphone. This mid-range phone looks very similar to the high-end Xperia Z3, but instead of being made from glass and metal, it uses plastic. But it is waterproof like the Z3 and has a 5-inch HD screen. 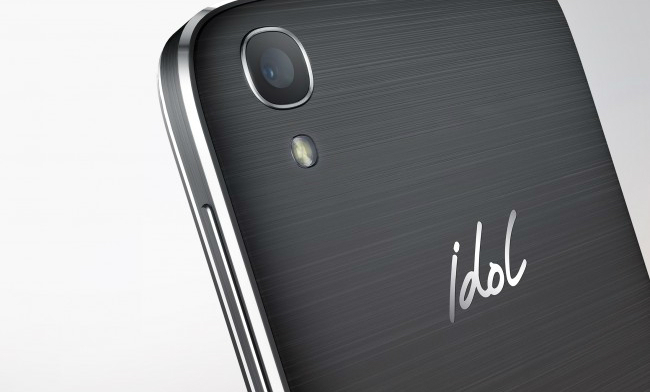 It also has a great 13MP camera – a pretty impressive package for a phone that’s not meant to break the bank. You might not know the name Kyocera, but the Japanese phone maker has been around for a long time. In fact, it created the world’s first camera phone. 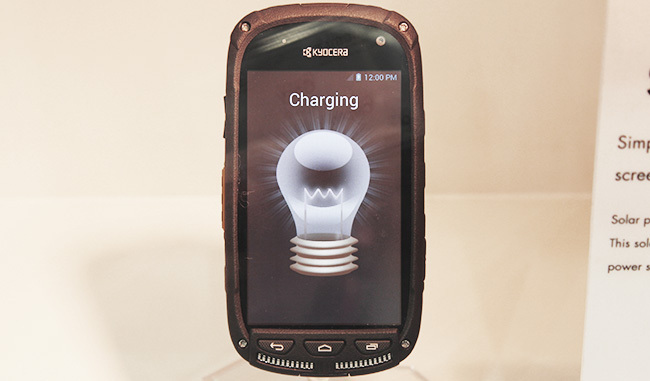 And now Kyocera have demoed another world first, a solar powered smartphone. This innovative gadget has a solar panel between the LCD that creates an image and the touchscreen that registers your taps and swipes. Unfortunately, the solar powered phone isn’t for sale, but hopefully it won’t take long to hit shelves. 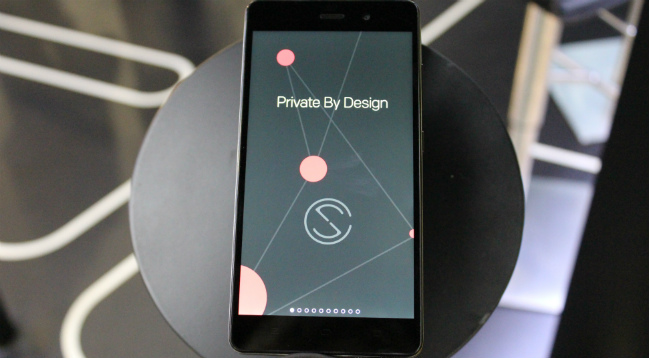 Last year, the original Blackphone was launched to try and keep the NSA and GCHQ from spying on our conversations. But while the technology was great, the phone didn’t have the quality of the big names. So Secret Circle has gone back to the drawing board and created the premium Blackphone 2 with a new design, bigger screen and a lot more power. French phone maker Alcatel has added a novel feature to its new Idol 3 smartphone – it can be used upside down. With most phones, if you turn them upside down, just the screen will rotate so you can still use it – kind of. The Alcatel Idol 3 however, switches everything, including the microphone and speaker. That means when you get a call, you can pull the phone out of your pocket and answer it no matter which way up it is. If you’ve got any questions about the great smartphones coming out of MWC, drop us a comment below. Check out the best smartphones of day two right here.